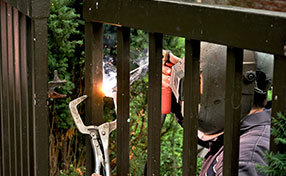 Here are some excellent gate repair tips you can use for better maintenance of your gates. Fresh ideas about new gates! Choose the right gate for you! Read the advantages of solar powered openers and how to prevent gate erosion. 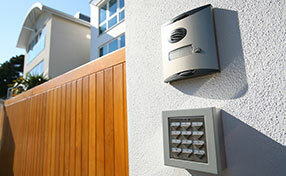 Going green is a great thing to do, and since your gate is outside anyway, if you live in the right climate a solar-powered gate opener can be a real money-saver. Experts at Gate Repair Chula Vista recommend a solar-powered opener for gates that are considered “lightweight” – usually less than 12 feet in length and weighing under 300 lbs. Heavier gates need more power than solar panels are able to provide. The two main types of gates are sliding gates, which have rollers that slide the gate back, and swing gates, which are mounted on hinges and swing open and closed. A handy tip to keep in mind is that the heavier the gate, the more likely it is that you’ll need to go with a sliding one. Swing gates have to be capable of holding the entire weight of the gate on the hinges. Gate repair pros at Chula Vista advise homeowners to choose galvanized iron or stainless steel hinges. These materials are resistant to rust and last a long time. Regular oiling helps keep rust away and kills termites on wooden gates. If rust is already formed use a commercial rust remover with steel wool. Rust can do a lot of damage to iron gates apart from the fact that they look real bad. 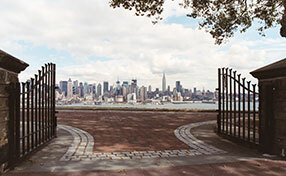 It is recommended using iron gates with a rust-proof finish. Alternately you can use a rust inhibiting primer. If you notice rust forming, try to clean it immediately using sand paper, this will ensure that it does not spread and there will be a smaller area to clean. While using sand paper, make sure you do not scratch other areas of the gate. Children can be severely injured by gates. It's helpful to place speed bumps in the driveway and make sure that the area is clear before you open the gate but you might not have a clear view from outside when the swing gates open. So, keep kids away. The onset of rust on metal gates like wrought iron gates can lead to a bigger corrosion problem, so be sure to promptly deal with it. It is possible to remove rust on your iron or steel gate using steel wool with a rust removing solution. For rusty hinges, a gate hinge repair or replacement is not yet necessary unless the hinge has already weakened significantly.